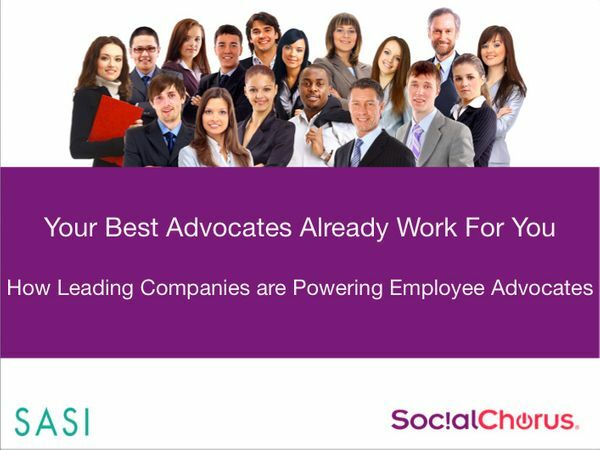 Employee advocates help brands reach new audiences. In fact, when Dell activated their employees on social media, they found just an 8% overlap with their employees’ audiences. Factor in that 80% of consumers are more likely to buy a product when it’s recommended by a trusted source, and it’s clear that Advocate Marketing is more powerful than ever. Not only are employees a highly trusted source, but they possess the knowledge and passion to be highly effective brand advocates. As little as 200 employee advocates can reach 8 million consumers, drive 14,000 social engagements and create 600 pieces of content.